Throug a series of connections too vague to recount I stumbled upon Pieter de Hooch’s Linen Cupboard, 1663. 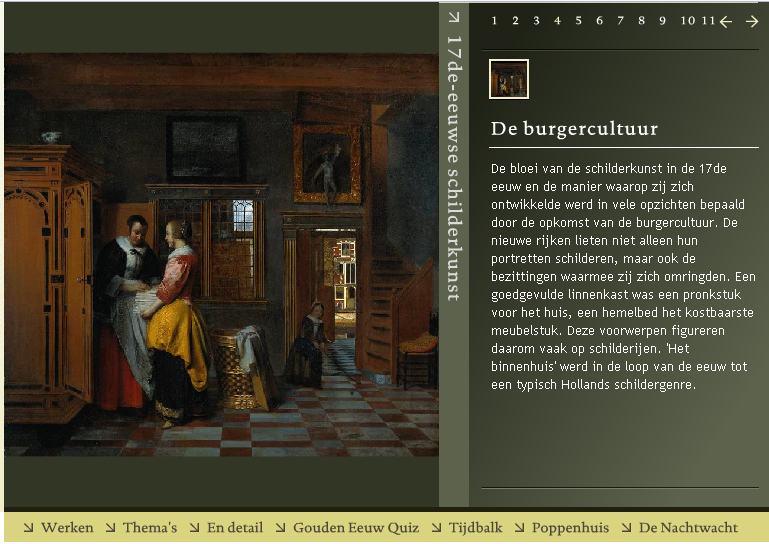 It is in possession of the Rijksmuseum, check their background info on the picture here. 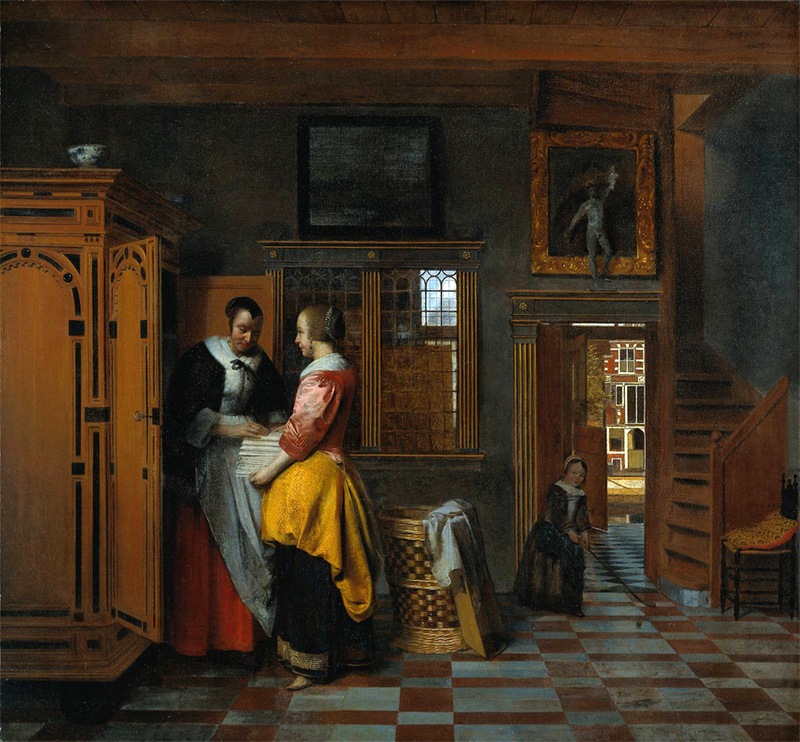 Quote from blogmeridian, where The Linen Closet is connected to Danielewski’s book House of Leaves under the title: Negotiations of Space: “Not all Dutch paintings in this genre are this complex in their depictions of space. 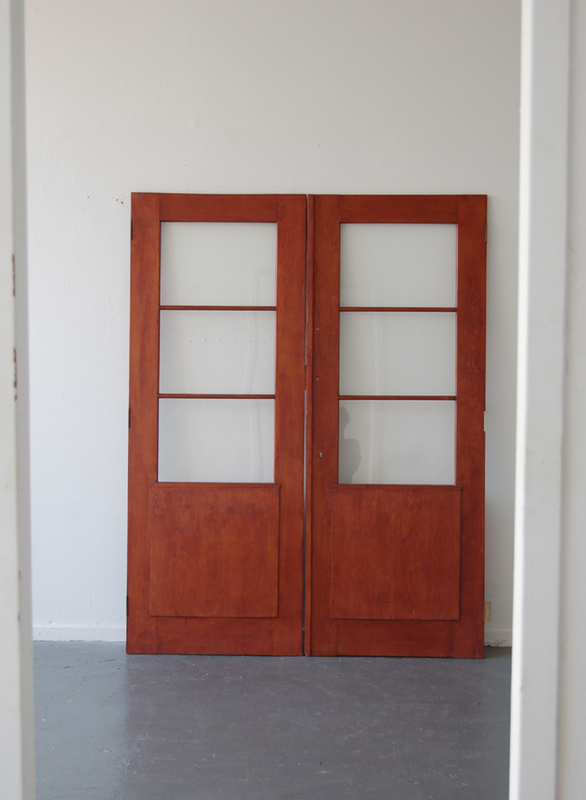 But a commonly-held feature of this genre is the simultaneous depiction of an Inside space (the room in the foreground) and an Outside one, visible through an open window or door or gate. 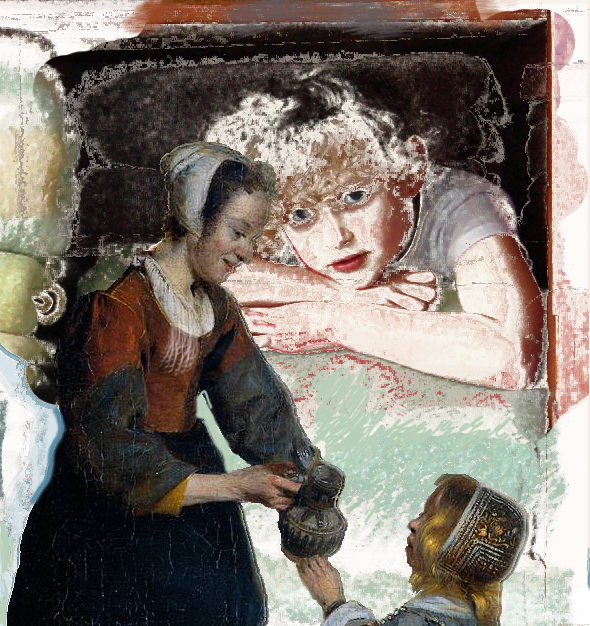 The strong sensation is that the viewer doesn’t just stay static, outside the image, but is invited to move into and through the space depicted. And, as I hope you’ll see, this one’s elaborate composition is especially appropriate for comparison purposes to certain textual moments in House of Leaves. This I could use as one of the starting points for my visual research. It has an [order/disorder] [work/play] [adult/child] balance, and it is so feminine.